For the aviation industry, February 12 serves as an annual reminder of why airline pilots are committed to lifelong training to keep flying safe. This day marks 10 years since the Colgan Air Flight 3407 tragedy, which became a watershed for aviation safety improvements. Reflecting on the past year, it is clear that ALPA continues to lead the charge to maintain and improve aviation safety in both the United States and Canada. And as we look to 2018, we will stay the course toward our goal of ensuring that North American airline travel remains the safest mode of transportation in the world. From issues spanning fatigue, pilot training and qualifications, unmanned aircraft systems, carriage of hazardous materials, and so much more, ALPA is the safety conscience of the airline industry for passengers and cargo—constantly adapting and focusing on both imminent and long-term threats. 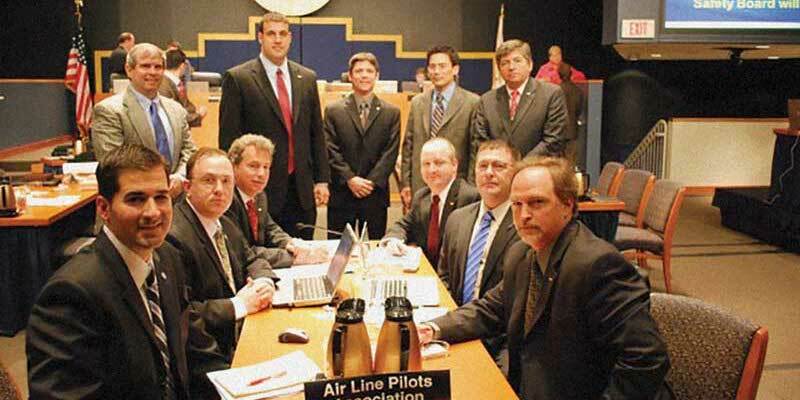 No one is more committed to ensuring we have enough qualified and experienced pilots to keep commercial aviation safe than the Air Line Pilots Association. The good news is that we currently have more fully qualified pilots in the United States than there are positions available, and air travel is the safest mode of transportation in the world due to our commitment to schedule with safety. However, we do need to make sure we have an adequate future supply of qualified pilots – earning good salaries – and guard against efforts to reduce safety, especially as it relates to pilot training and qualifications. That’s why the Air Line Pilots Association has worked for many years to mentor and inspire the next generation of pilots and advocate for loan forgiveness programs and other incentives to make it more affordable to become an airline pilot. . When I was a Captain I often flew with brand-new first officers who were starting their career as a part 121 pilot for the first time. Most everyone came fully prepared. Having 1,500 hours under their belt—together with well-managed and structured training—is the biggest key to success for new pilots entering the industry in my opinion. I take a personal interest in safety because, well, it’s my life on the line. Mine, ours, and theirs, really. My safety is first, so I can make sure my crew is safe, which means the people, dogs, cats, boxes, airplane, and buildings will be too. So I jumped at the opportunity to visit Members of Congress as part of ALPA’s Legislative Summit and tell them why it’s so important to maintain the safety standards put into effect in 2010—and specifically the first officer qualification and training rules.